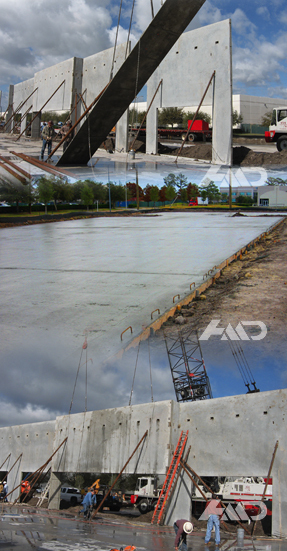 HMD Builders is a turnkey commercial concrete contractor. We offer our clients consistent, cost-effective service to complete the project on time, mistake free, and provide quality workmanship. HMD Builders, Inc. is a well-established commercial concrete contractor that can respond quickly to the fast-paced demands of commercial construction and reliably address any post-construction warranty or other needs. Our team, at HMD Builders, Inc. is well-informed about concrete costs, and can comprise a competitive bid without neglecting quality. We develop a timeline for each project, coordinate work schedules, and ensure work is completed on time and within budget. Working closely with our clients, we oversee each project, and after the project is completed, pay follow-up site visits to assure our clients satisfaction. HMD Builders primary area of service is the Houston Metroplex and surrounding areas. Please contact us to determine if your project criteria mesh with our core competencies.